Within the universal exhibition held in Turin in 1884 music didn't play a secondary role. The exhibition had a dedicated space where the best pianos and pipe-organs crafters were hosting spectacular music performances. In that occasion the golden medal for organs crafter was appointed to Carlo Vegezzi-Bossi ( 1858-1927) who featured a magnificent instrument highlighting the melodramatic type with hints of French taste. After the exhibition the organ was moved to San Massimo church in Turin, which at the time didn't own one yet. The instrument was fully restored in 2014 from Brondino-Vegezzi Bossi's firm and with this CD inaugurates its second life. 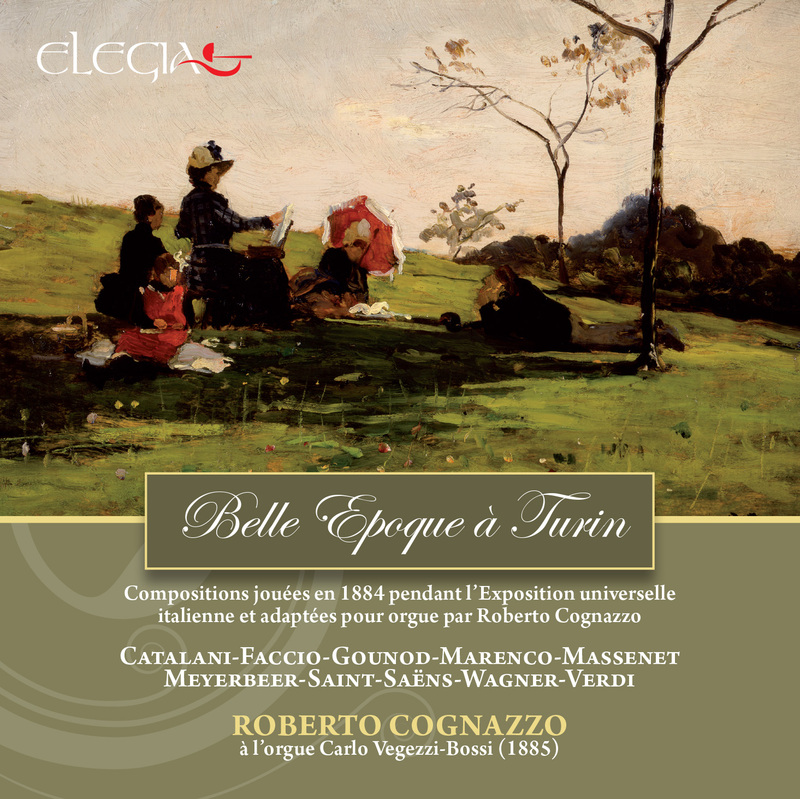 The musical content consists in his entirety by transcription elaborated by pipe-organ master Roberto Cognazzo and recalls what it used to be heard during the 1884 musical season. The results vary from brushing paradox (Gounod, Marenco, Saint-Saens) to triumphalism (Meyerbeer, Wagner) to a genuinely crepuscular taste (Massenet, Catalani). Lastly, a hidden gem almost forgotten during the centuries, the moving Ofelia's funeral march from Shakespeare's Hamlet, this was the second and last composition by Faccio.